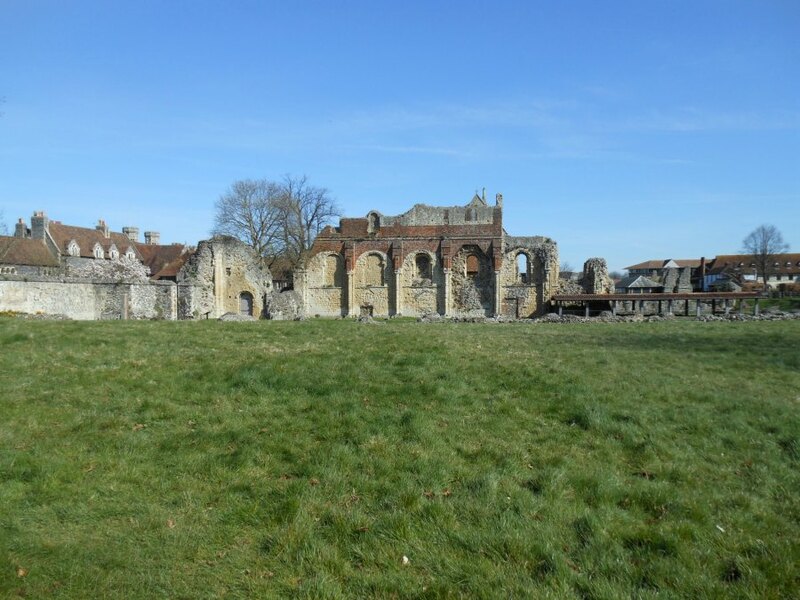 St Augustine’s Abbey – History… the interesting bits! 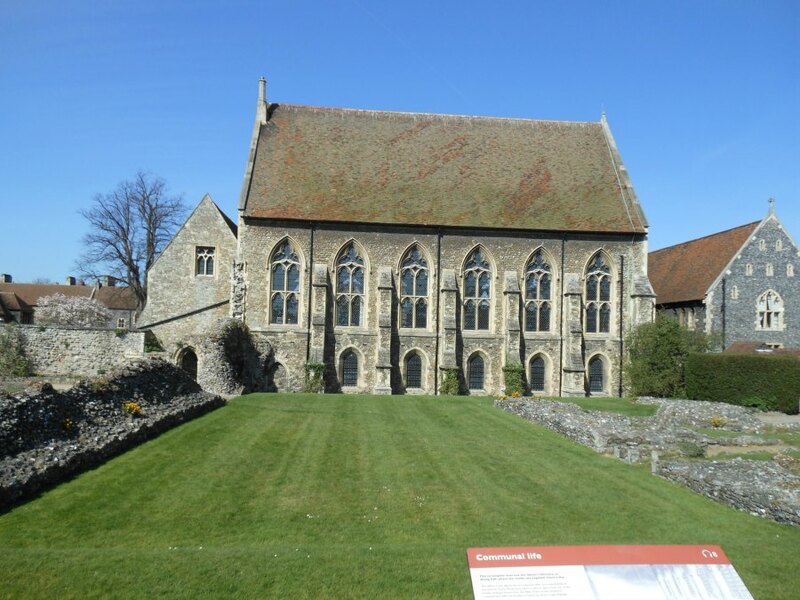 A few days away in Kent this Easter holidays gave us the chance to visit to the wonderfully peaceful and historic St Augustine’s Abbey, Canterbury. Situated just outside the city walls, the Abbey was founded around AD 598 by St Augustine of Canterbury. St Augustine had been sent to England by Pope Gregory I the Great, on a mission to convert the Anglo-Saxons to Christianity. A Benedictine monk, St Augustine would become the first ever Archbishop of Canterbury. 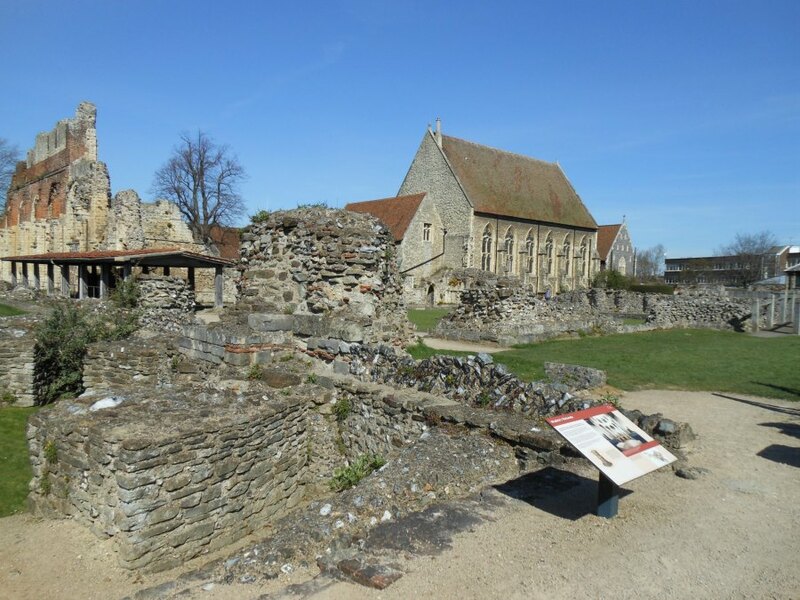 The king of Kent of the time, Aethelbert, was a pagan but his wife, Bertha, was Christian and, with her encouragement, Aethelbert was converted and gave St Augustine land outside the city walls, in order to build his monastery. Aethelbert allowed St Augustine’s missionaries to preach freely among his people, thus establishing the ‘rebirth’ of Christianity in southern England. 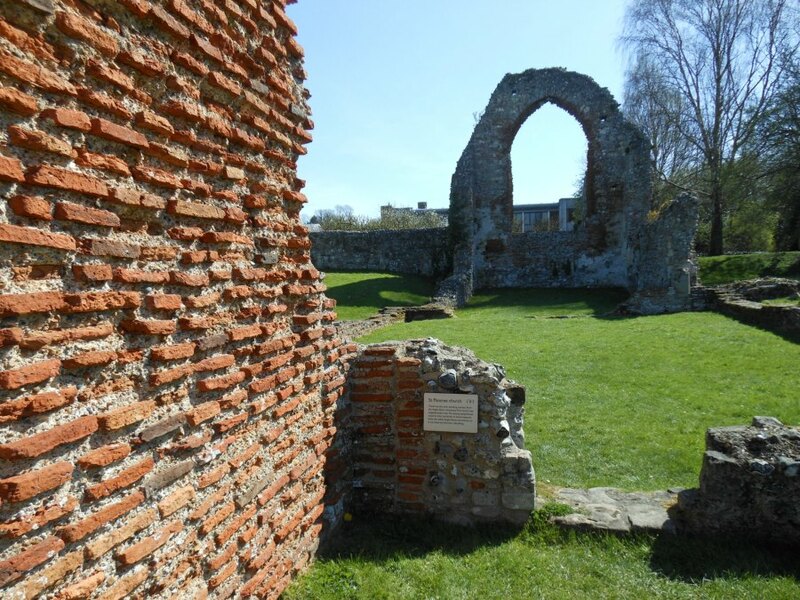 Dedicated to St Peter and St Paul the Abbey thrived, and for two centuries, following its foundation, it was the only important religious house in Kent. When St Dunstan became Archbishop of Canterbury, he enlarged the Abbey’s church and added the name of St Augustine to those of St Peter and St Paul. 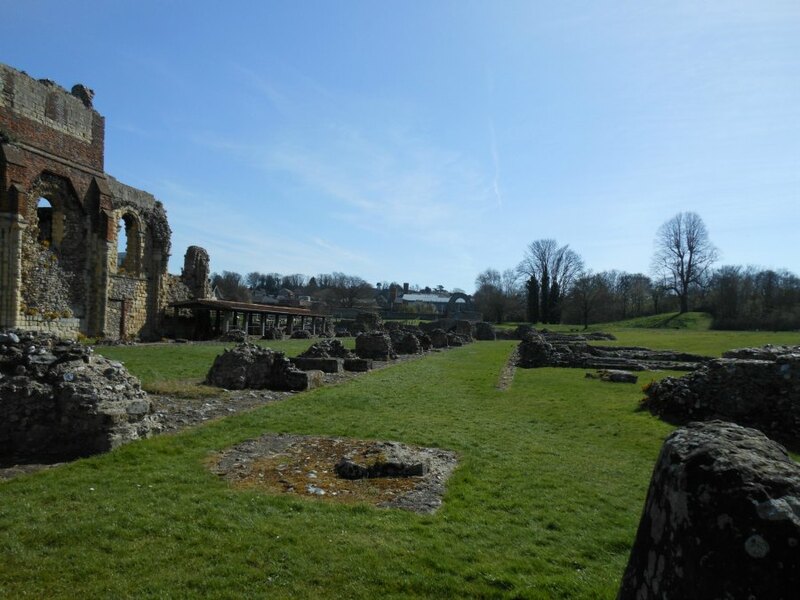 From then on it has been known as St Augustine’s Abbey. With the Norman invasion the Abbey church was rebuilt and enlarged to become a magnificent Romanesque cathedral, of which little remains today but the arches along one side the cathedral wall, and bases of the stone columns which supported the roof. A 2nd church was later added to the site. The Church of St Pancras, was built in red brick, close to the cemetery reserved for the lay brothers. The cloisters included a Scriptorium, where the monks produced their manuscripts, sheltered from the elements, but bathed in sunshine. 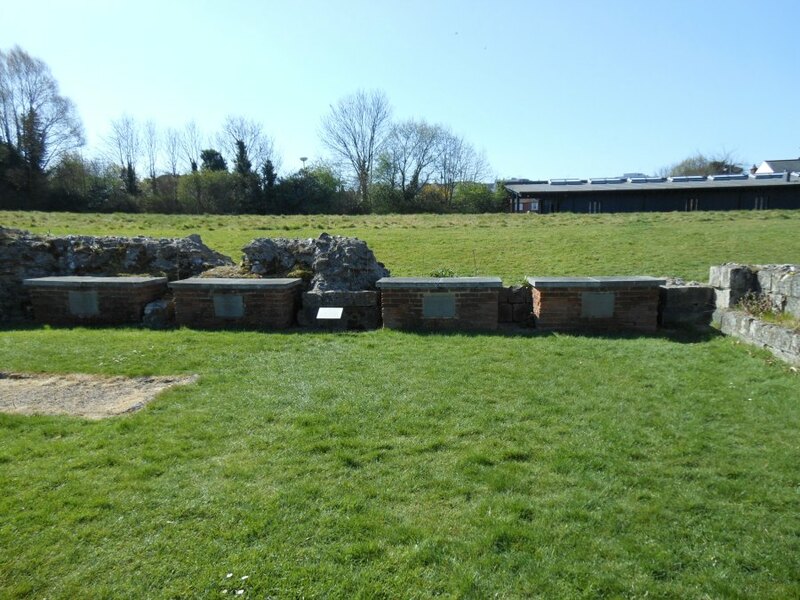 Within its grounds you can see the tombs of the first four Archbishops of Canterbury, though that of St Augustine is now merely a memorial stone marking his initial resting place. 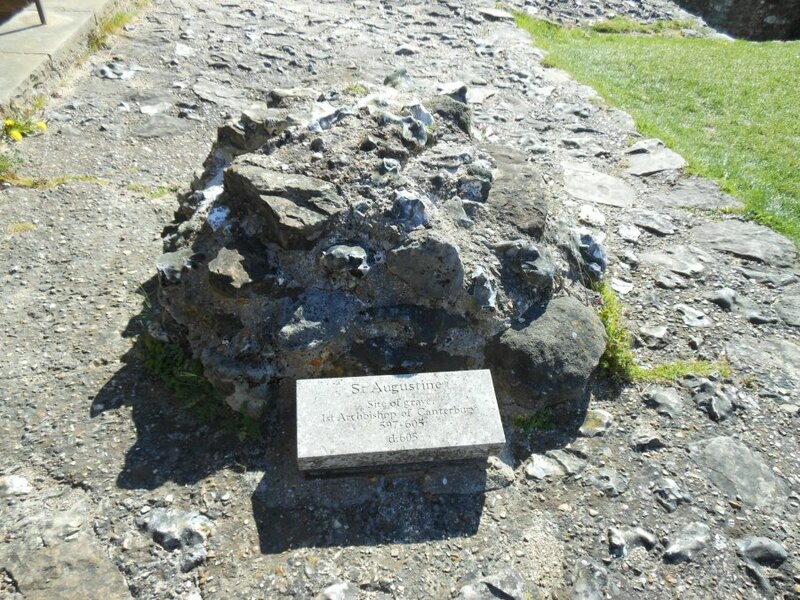 The Abbey was also a burial-place for the Kings of Kent. You can see the modern memorial chests, in a chapel to the side of the nave, of four kings who died between 640 and 725, and were originally buried in the Anglo-Saxon church of St Mary. At the Dissolution of the Monasteries, the shrine of St Augustine was destroyed and his relics lost. After over 940 years of monasticism at the site, the Abbot and monks left the Abbey, peacefully. Parts of the Abbey were dismantled and sold off, whilst other parts were turned into a royal residence, for a short while at least. It was landscaped in the early Stuart era and laid out with formal gardens; King Charles I and Henrietta Maria stayed in the Abbey gatehouse (Fyndon’s Gate) following their wedding in Canterbury Cathedral in 1625. Soon after the Abbey passed to the Hales family, who allowed it to fall into decay and ruin, who using the stones from the Abbey to build a new house at Hales Place. It was eventually bought by Alexander James Beresford Hope, in 1844, who established a missionary college and excavated the Abbey’s remains; the college buildings were destroyed during the Blitz, in 1942. A haven of peace and tranquility, and yet so close to the city. The Abbey has a wonderful little museum within the Visitor’s Centre, telling you its history and displaying artefacts found on the site. The audio guide is impressive – it was so good it kept my 9-year-old enthralled. . The Archbishop of Canterbury himself tells St Augustine’s story and explains the significance of the Abbey (it’s a World Heritage Site) to the history of Christianity in Britain. The guide takes you through the life of the Abbey, from its very beginnings to the present day, as you wander around the serene Abbey precincts. Article and all pictures are ©Sharon Bennett Connolly, 2015. 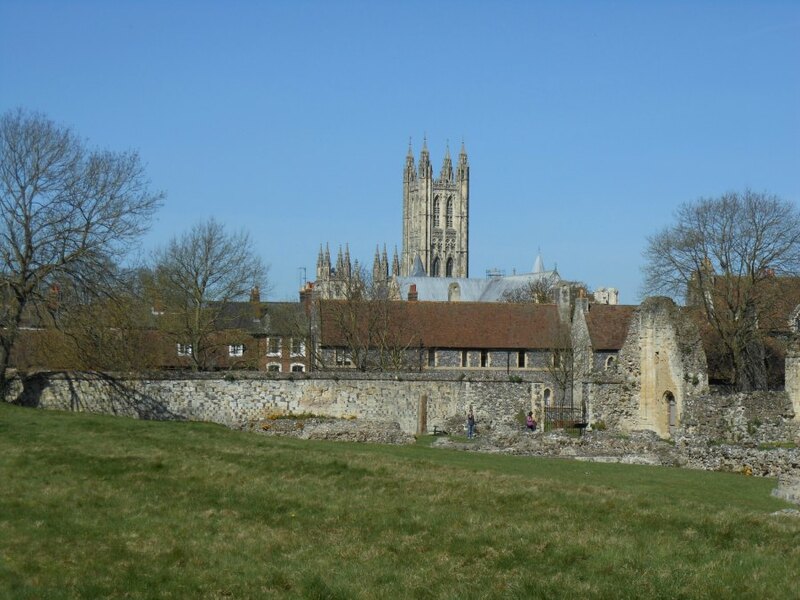 Pingback: Canterbury Cathedral – History… the interesting bits! Pingback: Book Corner: In the Footsteps of the Six Wives of Henry VIII by Sarah Morris and Natalie Grueninger – History… the interesting bits!